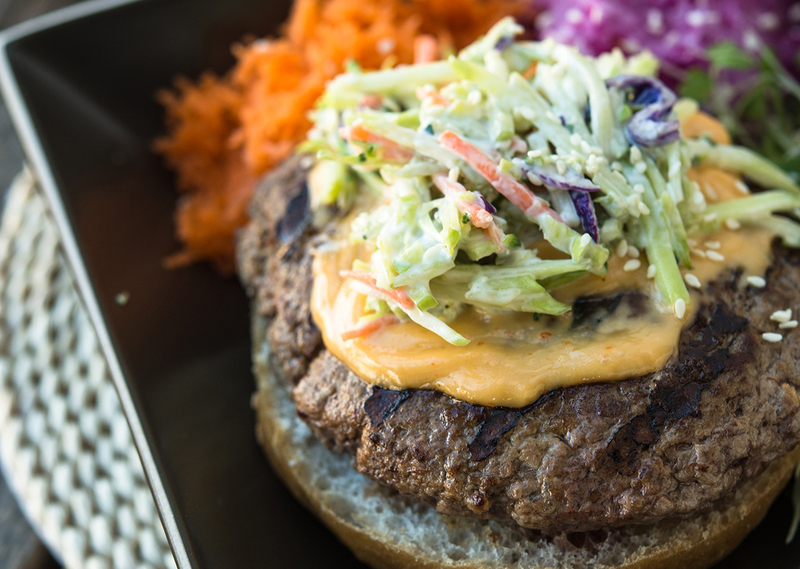 Asian Slaw and Sweet Chili Mayo are the perfect complements to this burger upgrade. Bring on burger night! In large bowl, mix together all burger ingredients. Form into 4 patties and place on plate. Cover and refrigerate for 15 minutes. Meanwhile, in large bowl, mix together all slaw ingredients. In separate small bowl, mix together all mayo ingredients. Cover both and place in refrigerator to chill. 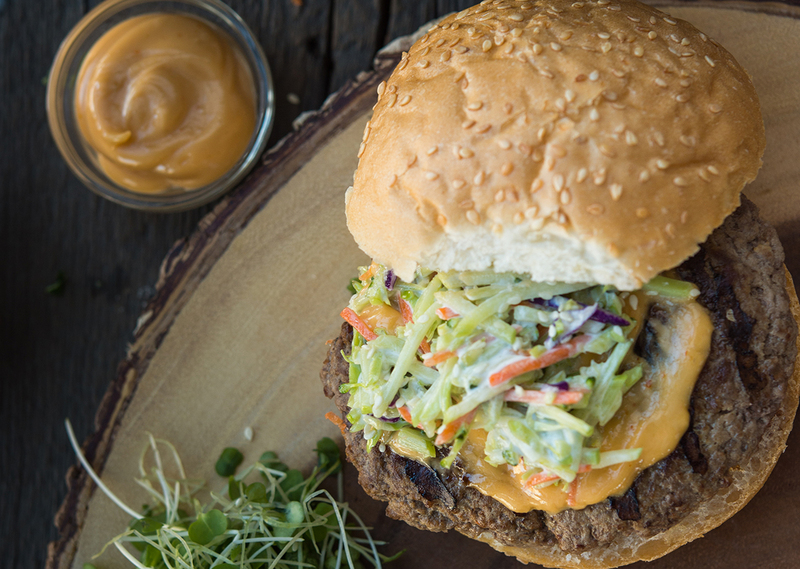 Place chilled burger patties on preheated grill and grill for 5-6 minutes. Layer mayo, burger and slaw on 4 burger buns.